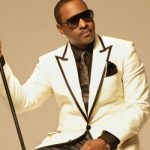 Grown Folks Music recently had the opportunity to talk with R&B veteran crooner Mr. Johnny Gill. Johnny recently released his album Game Changer and he talked with us about the album, and why he stays in the game to “fight for the life of R&B”. Read below and enjoy. GFM: You recently dropped an album– Game Changer. Tell us about Game Changer. JG: What I tried to do is just put together a great album with great music. I really feel there is a void in our industry that is important– and that is just having some great, solid, music that everybody can enjoy. I feel like people can enjoy the type of music that we put together– for EVERYBODY. I’m so proud of it. I’m just proud to watch and see the response from people that really, truly are enjoying this project. There’s nothing greater… nothing more rewarding than to see how the music is making the people feel. I’m excited. I’m just very pleased with what the outcome is thus far with this project. GFM: Babyface produced the title track and you have a song on the project with your New Edition brothers. Can you talk about that a little bit? JG: That was fun. We had an opportunity to work and it was fun. We even talked about trying to get some dates together to even start at some point looking at a New Edition project. So, something really great came out of that. They wanted to be a part of helping support something that I’m doing and on a crusade with– and that is just to continue to fight for the life of R&B– the respect of R&B. All the way around. I appreciate their support. Like I said, I just think it’s been very important that people understand that there’s this great music that’s out there that’s needed in our lane of what we do and I’m just trying to lead the charge. GFM: Speaking of New Edition, is there anything you can tell us about 2015 for New Edition? I know you just said that they’re working on your project led to a discussion about possibly a New Edition project, but will you guys be touring this year? Or, is 2015 Johnny’s year? 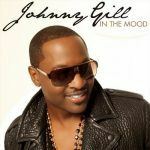 JG: This is about Johnny Gill. This is the Game Changer experience and Johnny time. At some point we’re definitely gonna get back into that part of it with New Edition as well, but you know I have an album to support– a project that needs to get out there that the world needs to see and be a part of. I’m really solely focused on making that happen and getting that out there right now. GFM: As far as the title Game Changer (goes), can you recall a few moments or people that were game changers in your life? JG: My mom and dad. Some of the great leaders that we’ve had over our lifetime. (There are) so many ways of looking at the title Game Changer. I watch sports and see some the leaders of great teams. (The) players/athletes that have changed the game from working hard and with their work ethic. It’s a lot of ways of looking at Game Changer. But for me, when I look at Game Changer — what I’m trying to convey and my stance behind it– the purpose of Game Changer for me is really about the music. Understanding that I can make great music. There’s still the old-school (if they wanna call it old school) acts out here that are still doing it and doing it great– if not better than some that are out here doing it. The lack of respect that we get with R&B is beyond me, because everything starts from rhythm and blues. All the different styles of music. There’s no chorus that you can hit (or) that hasn’t been played that’s not derived from soul… from rhythm and blues. I watch and see how it’s just a lack of respect. Whether it be with these awards shows… it’s like R&B just doesn’t have or get the respect that it deserves. So, we’re leading the charge to see if we can change that. GFM: Do you think R&B no longer gets the respect that it deserves because there’s been a decline in the quality of the presentation of R&B? One thing I feel about you as an artist and even about New Edition is that over three decades you guys have always presented yourselves with a standard– a standard of showmanship, of talent, of quality, of professionalism and of class. Do you think that those elements are missing and that’s what contributing to the decline of R&B? JG: I’d have to say it’s a combination of things. Yes, I think that has something to do with it. I believe that it’s also about where the industry is with the streaming. I think that at the end of the day there’s just a number things I think that have contributed to it. But one of the things that I do feel has had a major contribution… a major effect on R&B is… I love all type of music… I love Hip-Hop. I love pop. I love it all, but I just feel like at the end of the day R&B has a language that it speaks that is direct (and) that you don’t hear too much of. How many songs are you gonna hear on the radio that are just really simply saying, ‘I love you. You’re so beautiful. Your beauty surpasses heaven’? 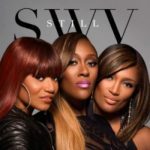 Things that are simply grown folks stuff, but it’s been a great way (to communicate) and part of our language for many years that people have appreciated as far as R&B. 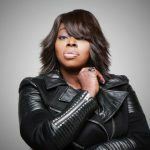 When you go back to old school– whether it was the “Teddys” (Pendergrass) or the “Luthers” (Vandross) and some of the other acts– that language, for some reason, has gotten lost in our music–in R&B. What they’re considering to be R&B is a almost different language. I don’t mind it, but let’s just mindful of where it all started from, from where it derives and what the definition of R&B and rhythm and blues really is. GFM: Is there anybody in the new generation that you admire or you feel is holding up the banner and representing R&B well? JG: I think Ne-Yo has done a great job. He mixes it up, but I think he’s a solid, great writer. I love guys like Anthony Hamilton who have come on the scene that are holding up the traditional side of R&B. There’s so many great artists that I, from an artist’s standpoint, respect and like them and love what they do, but I’m just speaking in particular about my lane– what I do and where we are with R&B. There’s quite a few people out there that are great talents. I don’t know how you define it… Hip-Hop and R&B? But I’m talking about the lane of just solely R&B. 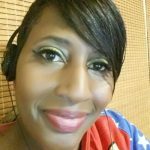 GFM: After three decades in this business, three groups and several solo albums, the question I’d like to ask is, who is Johnny Gill? JG: I think you’ll find that on the Game Changer album. It says a lot. I’m a great, true musician, a great father, a great humanitarian. I love to give and connect with people. I want my music to be able to connect with people. It says everything that you need to know about me. 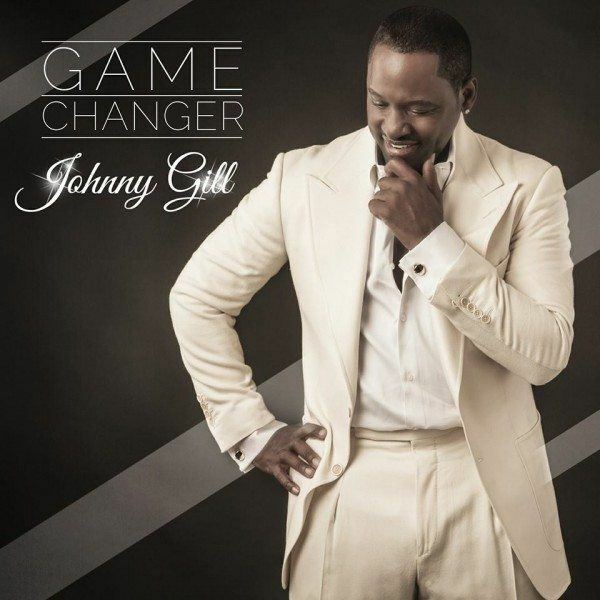 Johnny Gill’s new album Game Changer is available now. Get it at iTunes, Amazon and Target.